90% of all lost, stray and abandoned cats who come into the Home each year aren’t desexed, even though we know those who are desexed live healthier lives and don’t produce accidental litters that add to the thousands of cats that we see in shelters each year. 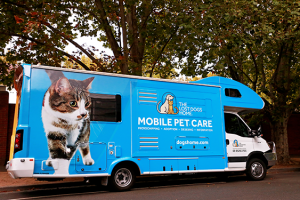 That’s why we’re rolling our mobile pet care Winnebago around town, performing high-volume, low-cost cat and kitten desexing surgeries to those who need it most. It’s one piece of the puzzle that will help us reduce their numbers year on year and a move that will improve the well-being of pet cats, preventing thousands of unplanned litters. Together with participating councils, we aim to support more cat owners to desex their pets. We understand the cost of desexing can mean months of saving for some cat owners, that’s why we’re making it more accessible to help those who we know love their cat but struggle to afford the cost to desex them. Desexed cats are less likely to stray, or contribute to Melbourne’s large population of unowned and wild cats. They’re also generally healthier and less likely to exhibit nuisance behaviours. 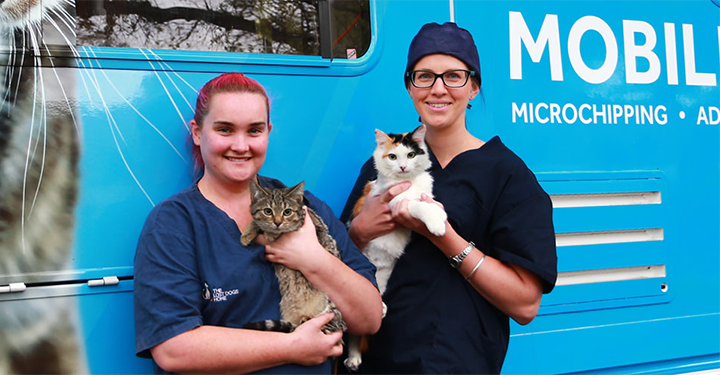 We can now easily travel to communities across the state with our mobile vet team able to desex up to 25 cats per day. To kick off, the Home has partnered with Wyndham City who have subsidized the cost of the surgery, microchipping and a year’s free registration to their residents over three days for a flat fee of $50 with additional discounts for concession card holders. This event has sold out, but other events are coming up around Melbourne.